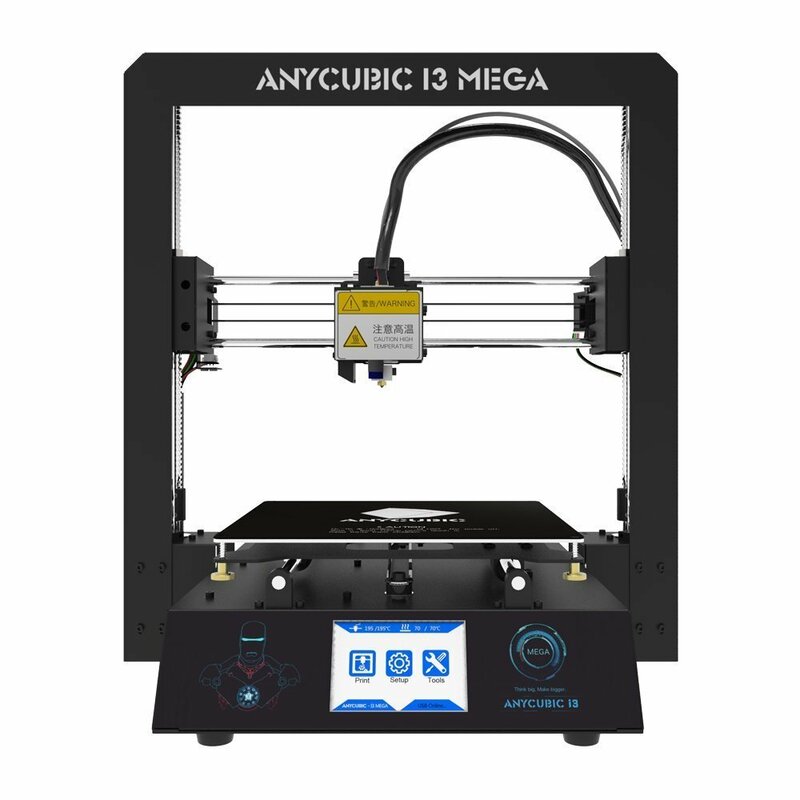 Continuing the story of our foray into 3D printing, our Anycubic i3 Mega arrived a couple of days ago. It's a much more robust and substantial printer than the MP Select Mini. I still think the Mini is a good choice for a super budget option (I'm not going to condemn the entire product because of one customer with one faulty switch), but I'm really happy that we went with this printer. It feels like a significant upgrade. Our first impressions of this printer have been nothing but great, but we have ran into a few hiccups along the way. First of all, the printer arrived about 95% assembled, which is fine, but it came with no manual explaining how to complete assembly and use the thing, and none could be found online..... Later, once Richard had figured everything out and finished putting it all together and doing our first print, he found the manual on the included SD card. The second problem we ran into was just hitting a stumbling block in our learning. There was no profile available for Cura for this printer, so we had to set up one. The Cura default print settings that worked so well on the MP Select Mini churned out horrible quality prints on the Mega, so we we had to do some tweaking to get that dialed in. This is nothing major or unexpected. It's just something you have to go through when figuring out a new 3D printer. Next, we tried to do a couple of larger, overnight prints. Both failed. The first one failed because the spool of filament we'd purchased has apparently been improperly wound and was tangled a few meters down the filament. This caused it not to unroll off the spool and the printer became unable to feed in more filament. We had to back the filament out of the printer, manually untangle the spool, and re-roll it. Our second overnight print fell over - not for lack of good bed adhesion, but rather it actually pulled the blue tape we'd been using up off the bed when it fell. So the tape didn't hold. Next time, we'll print directly on the bed (we can do that, it already has another covering on it, we were just using the tape to keep things cleaner) and print the rather tall piece with a brim. Clearly, we've had a few problems along the way, but none have been the fault of the printer. As to print quality, overall it's excellent. It's better than the MP Select Mini at 0.1mm resolution (the Mini's highest resolution), and it's leaps and bounds better at 0.06mm. Assuming we can keep things from falling over, I'll have my first build project, complete with photos, to talk about this weekend.